Figures have indicated that one out of two tourists visiting Turkey also explore the city of Istanbul. According to information from the Istanbul Culture and Tourism Directorate, over 1,600,000 people visited Istanbul during the first three months of this year. When compared to the overall tourist levels, they found that 47.8% of people visited the city whilst on their Turkish escapade. and cultural goldmine. It has stood as the capital for five different civilizations through history, including the Roman, Latin and Ottoman Empire; with much of its architecture depicting particular influences from each civilization. 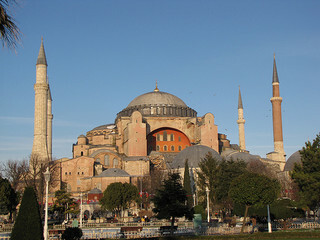 Among its most famous landmarks is the Hagia Sophia, built over 1400 years ago during the Byzantine reign over the city, standing as the largest cathedral in the world for over one thousand years. The news further cements Istanbul’s status as one of the most popular spots for visitors. With such an array of landmark sights and sounds, it stands as a perfect place to explore as part of a European city break. Why not discover Istanbul your self as part of your singles holidays?